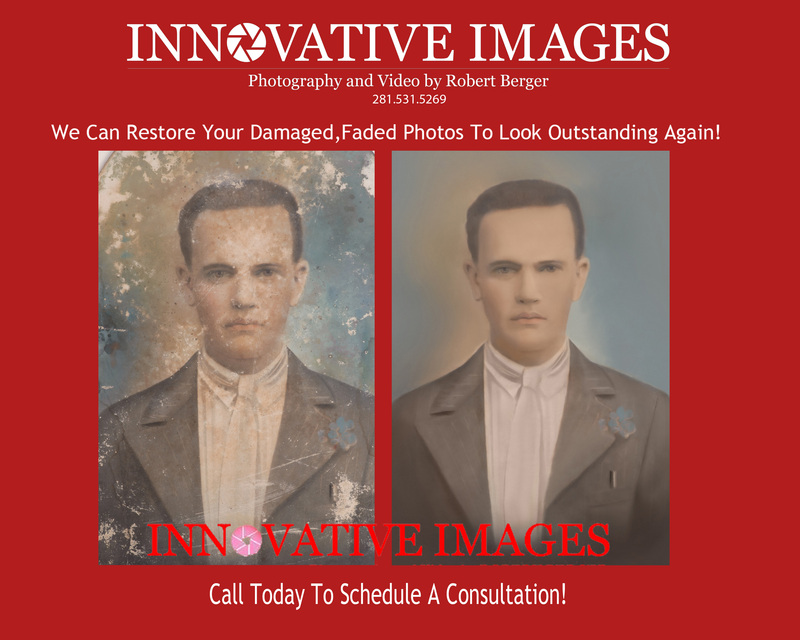 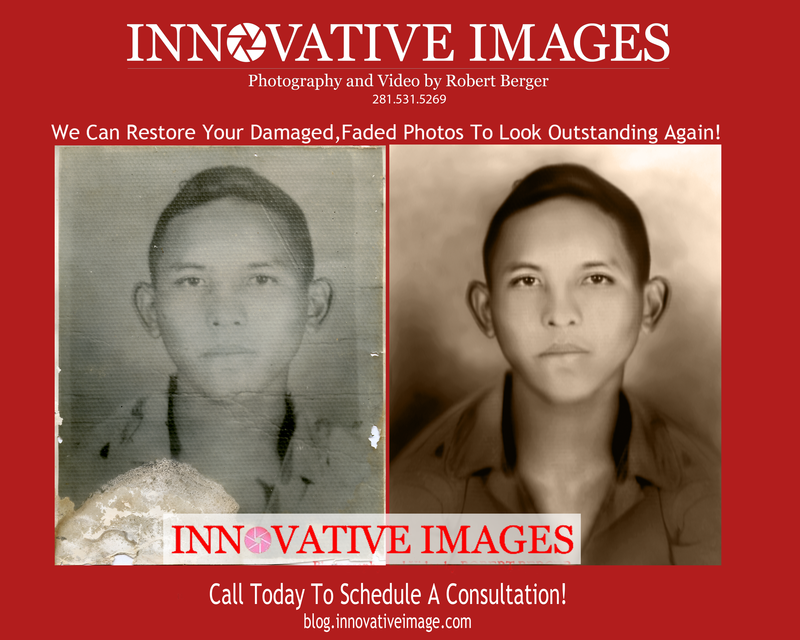 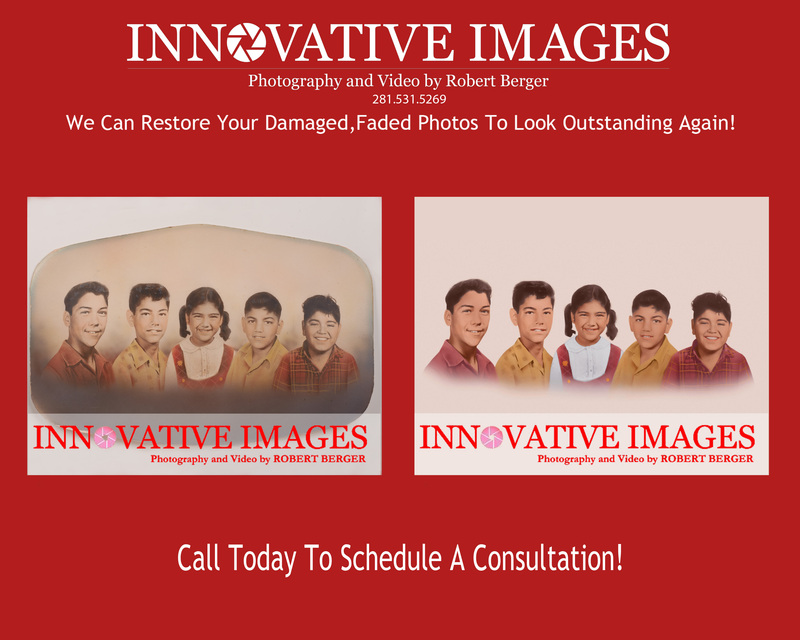 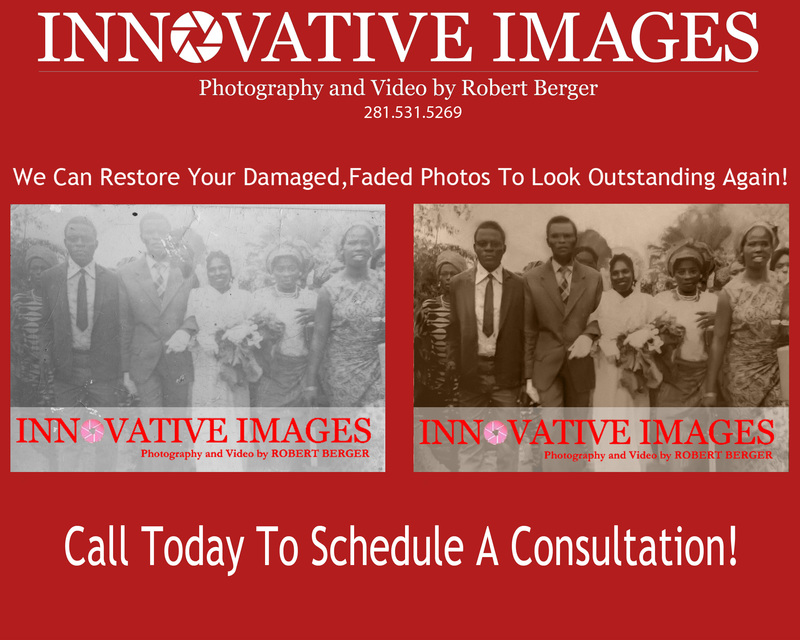 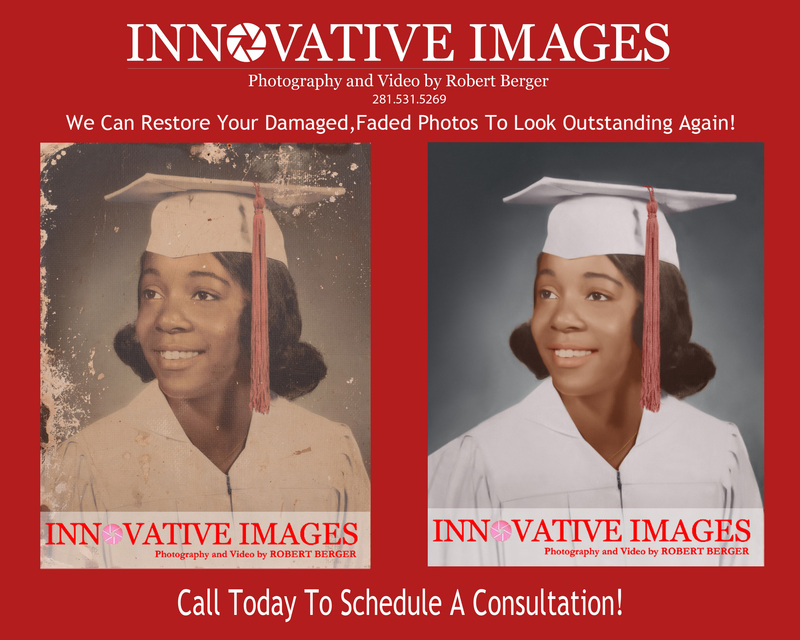 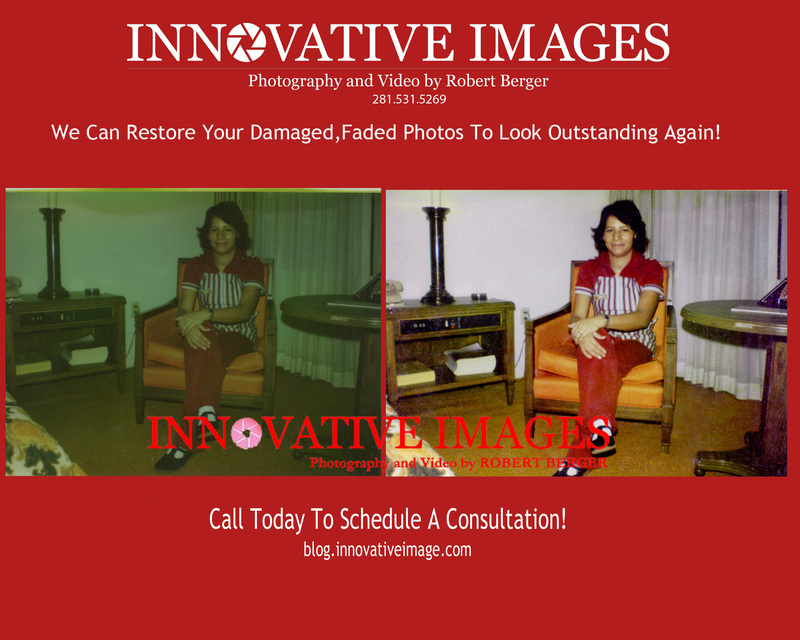 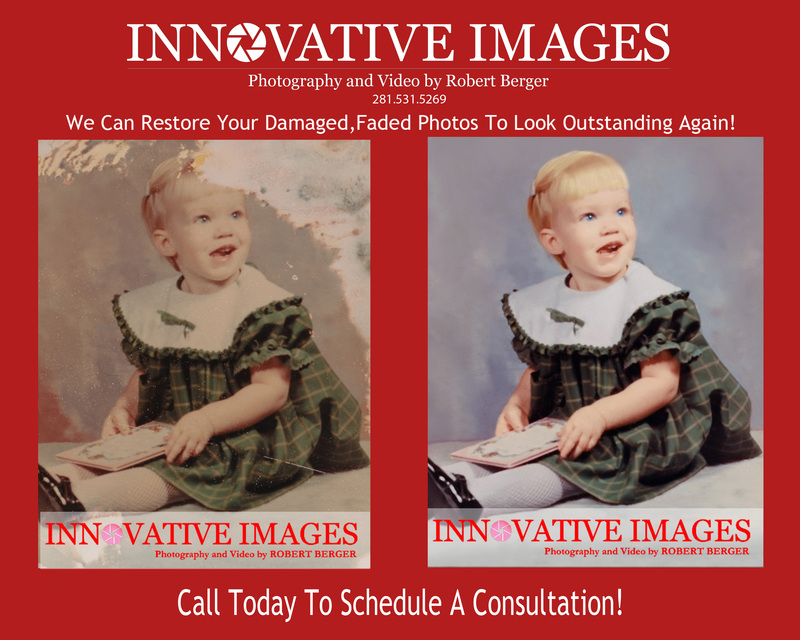 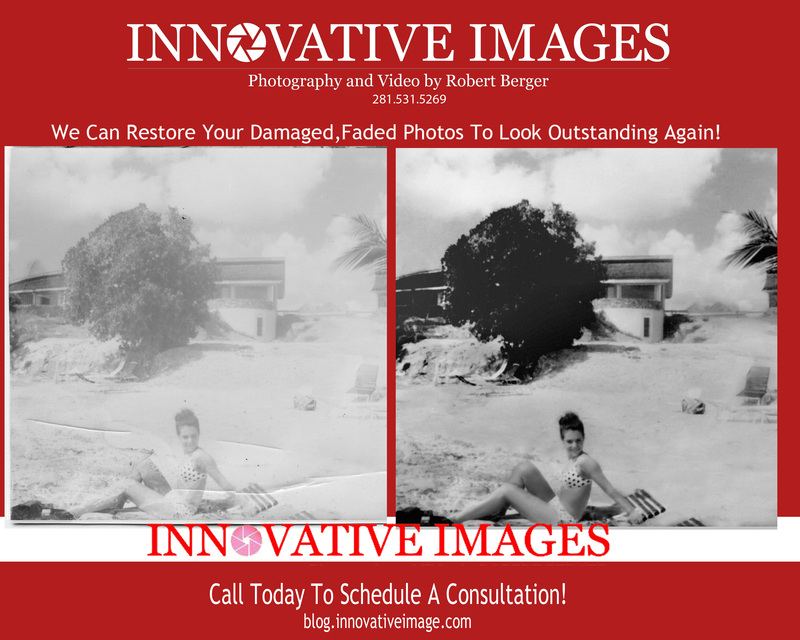 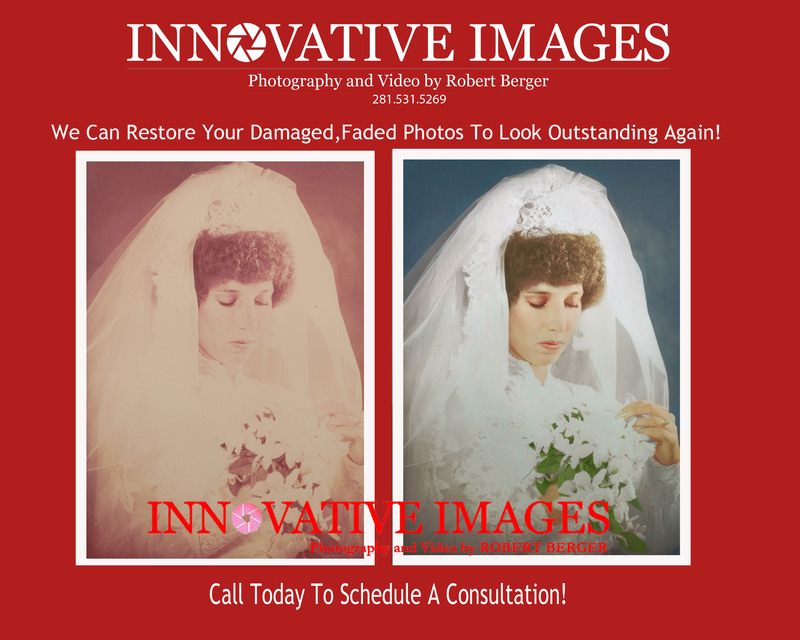 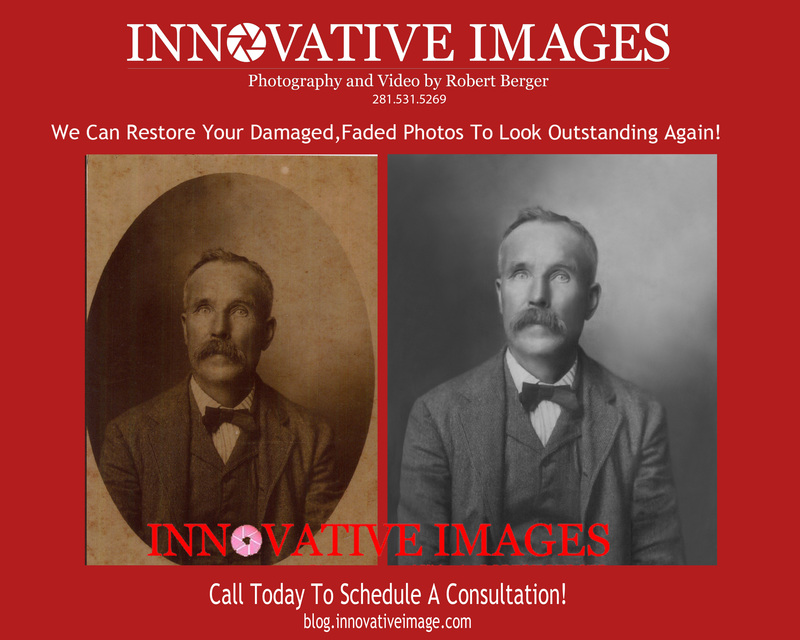 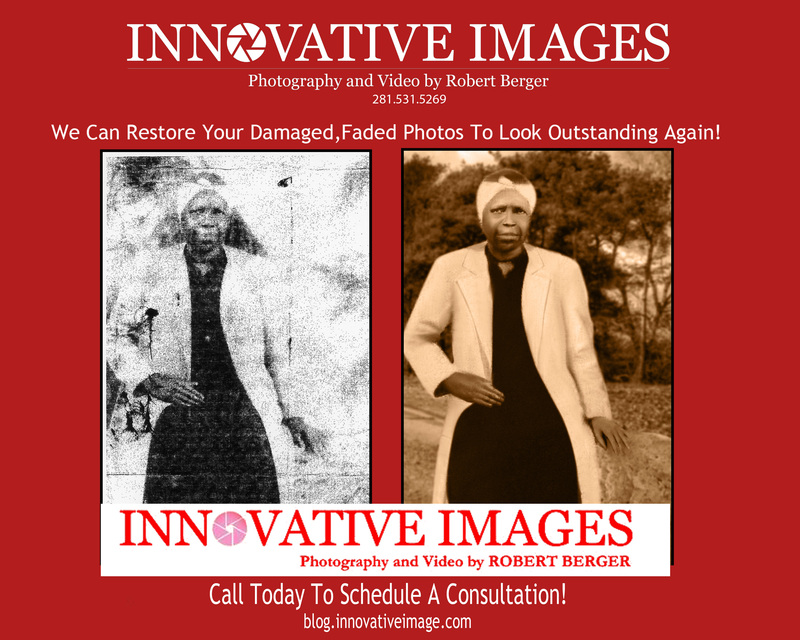 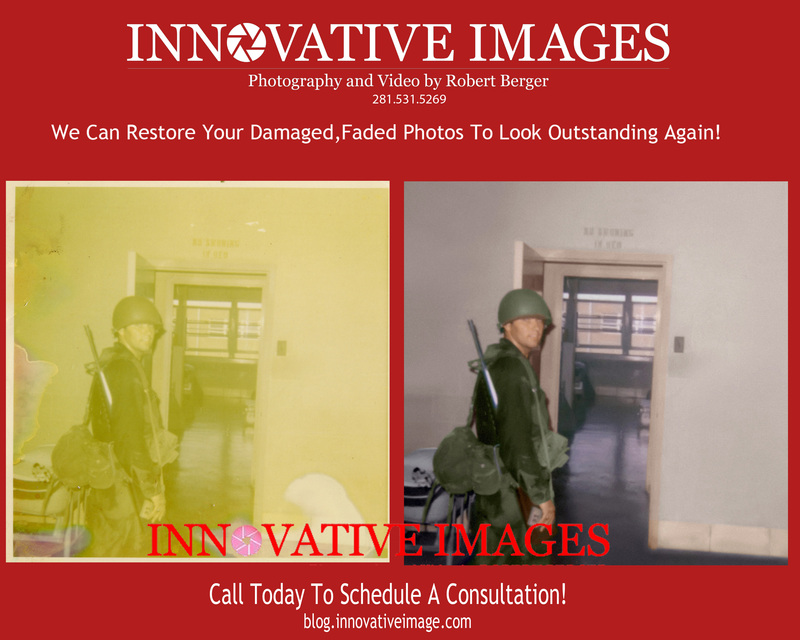 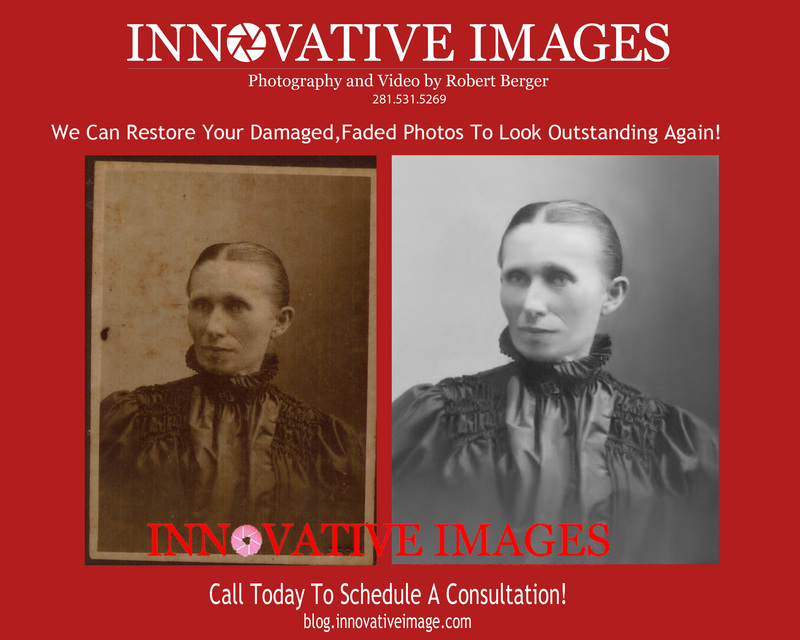 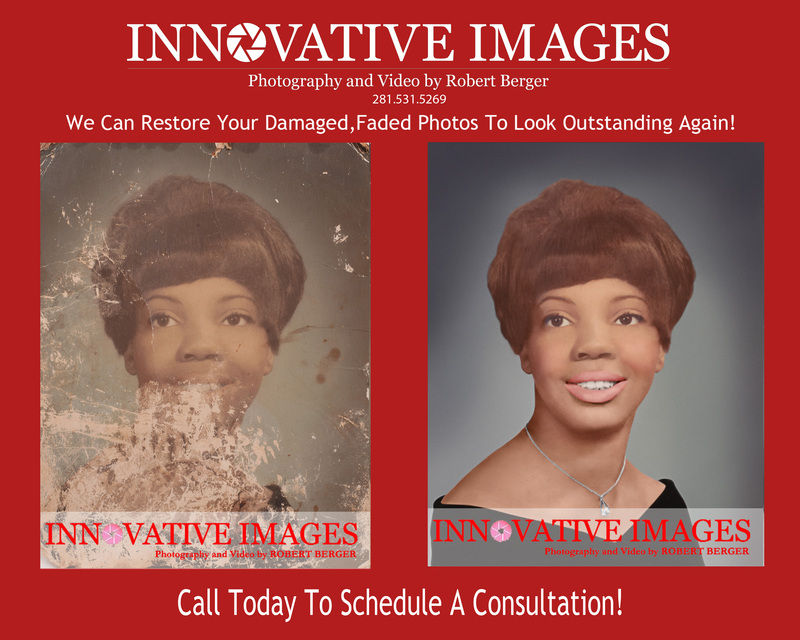 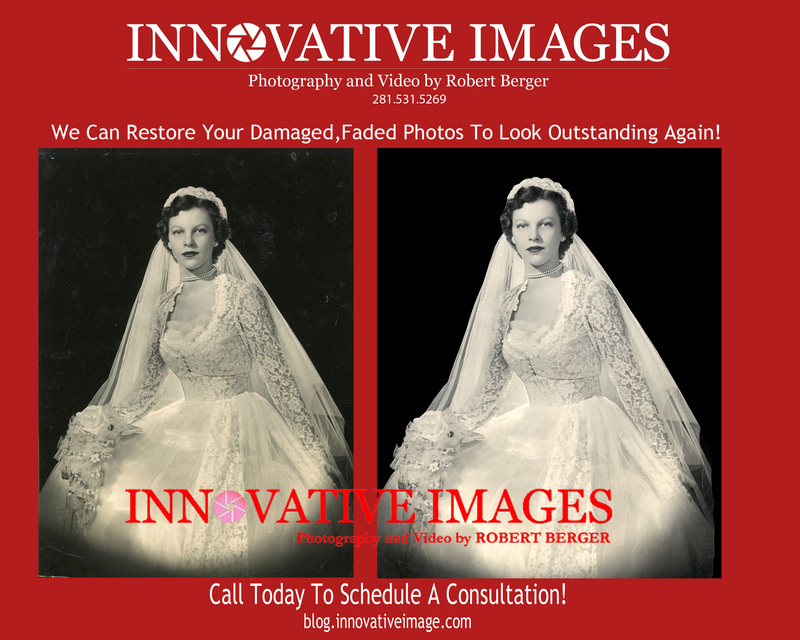 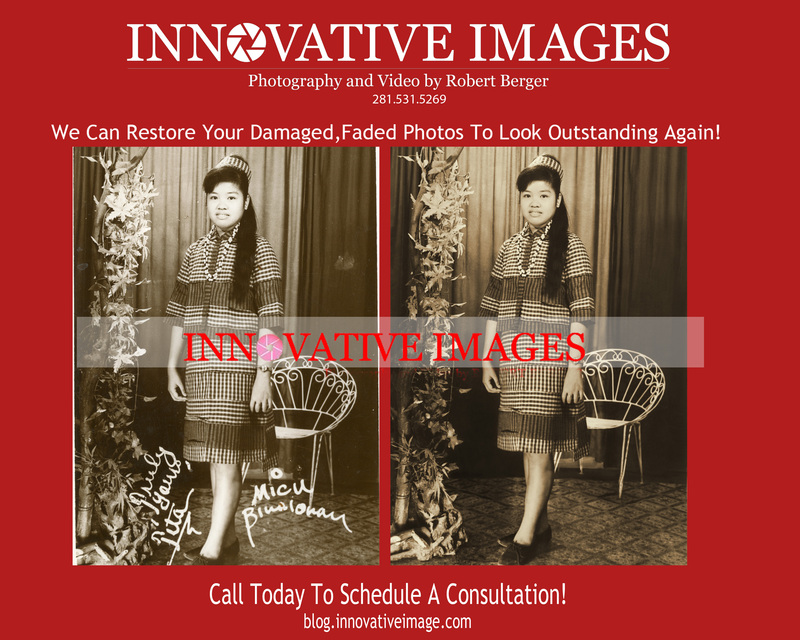 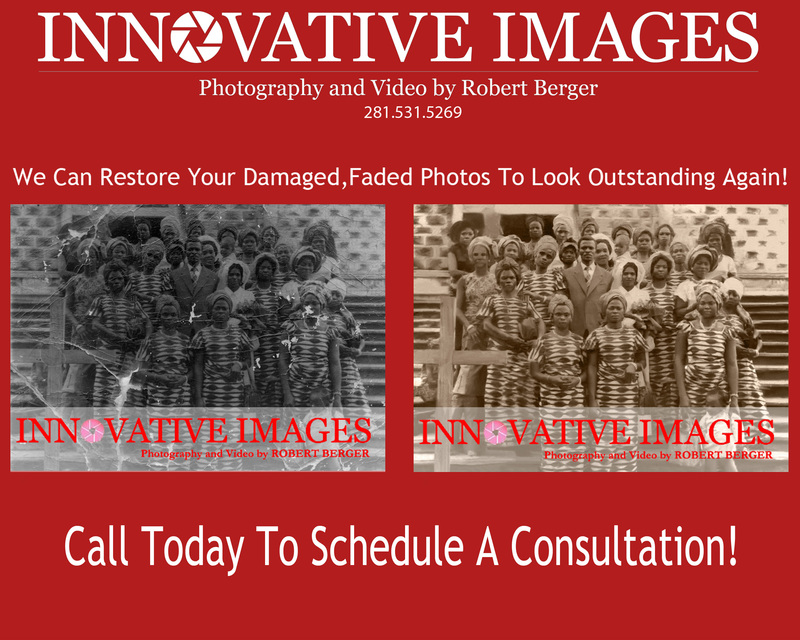 Photograph-Picture Restoration- Restore your old faded photographs to look outstanding once again in Houston Texas! 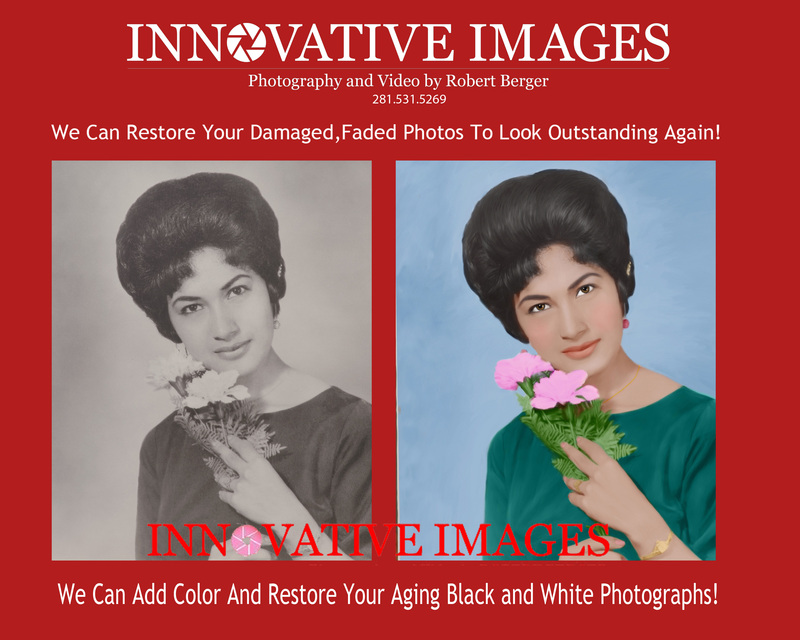 I think once we reach a certain age in life(with that also comes maturity) preserving our photographic memories becomes extremely important. 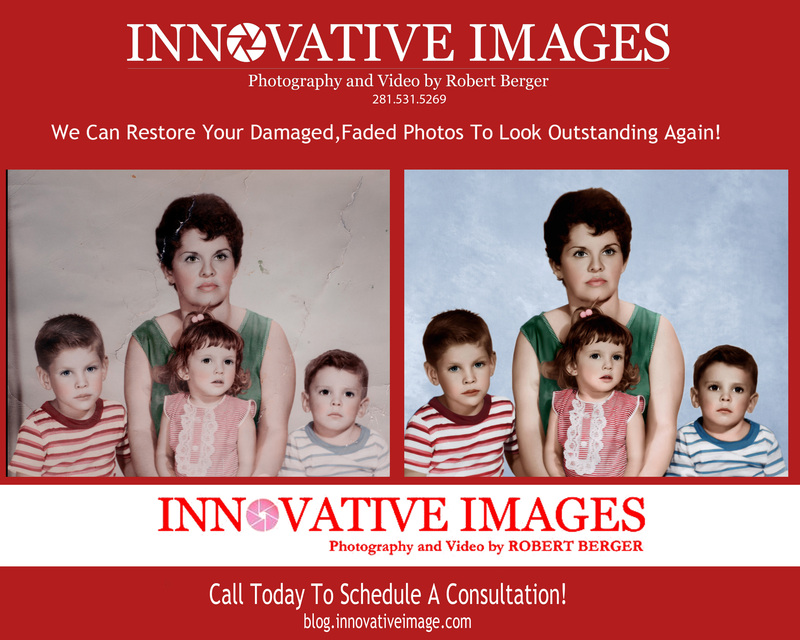 These photographs become the history of our lives and family! 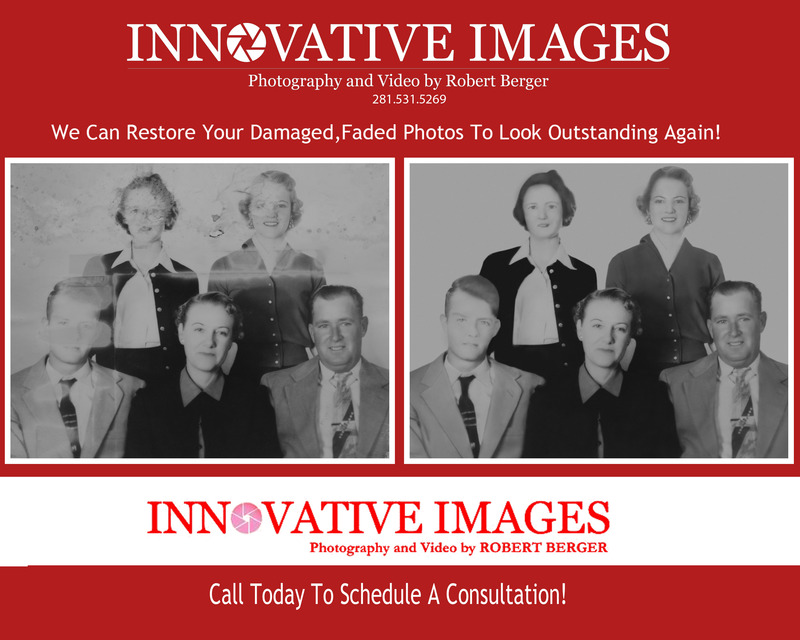 If you decide to preserve your photographs using a photo kiosk, this will probably be your life history that will be passed on. 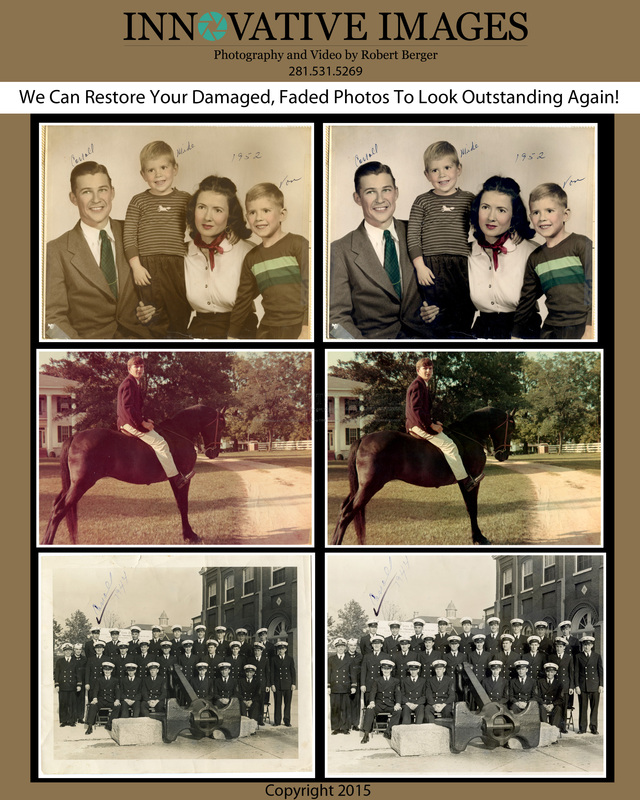 Leaving your photos in the hands of family to restore or have printed with an heirloom archival quality later on, realistically speaking may not happen. 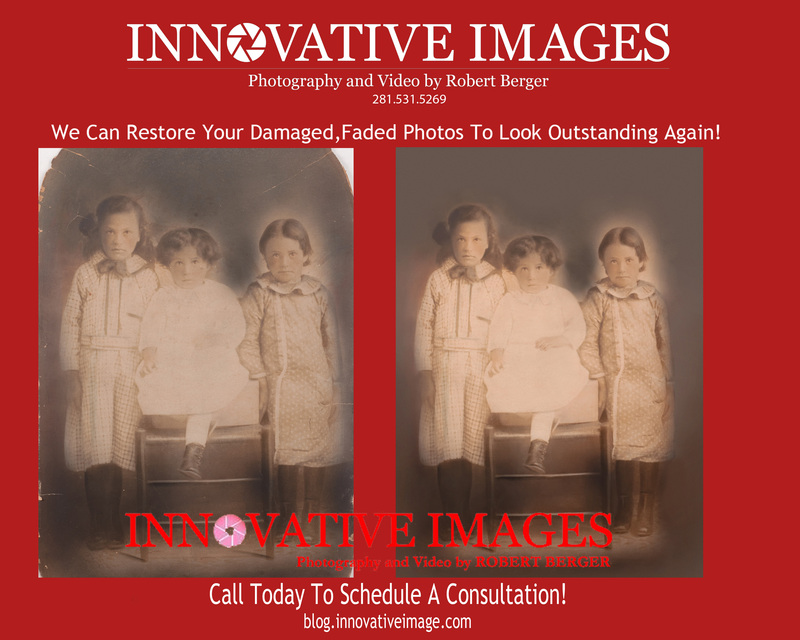 Photo Restoration Picture Restoration Of A Photograph From The Early 1900’s by Innovative Images Photography. 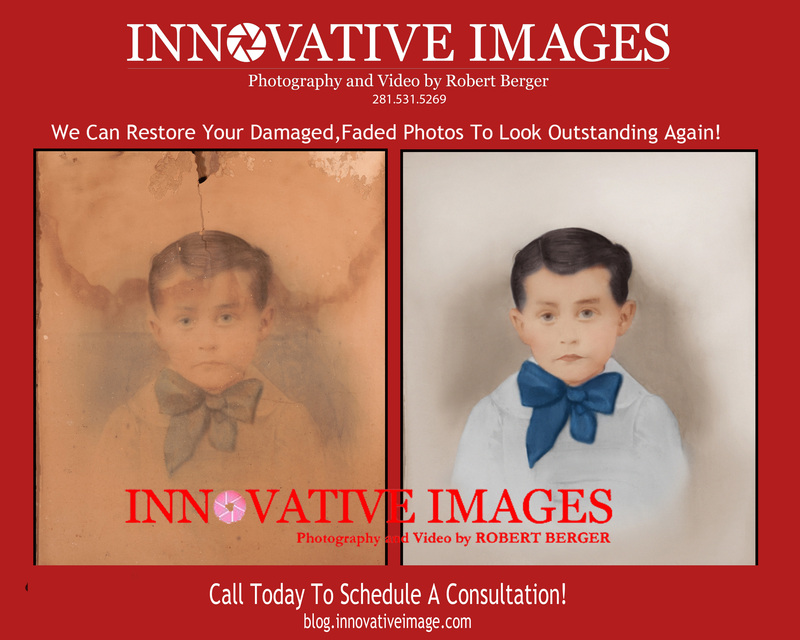 The original was a hand painted tinted photograph (left side). 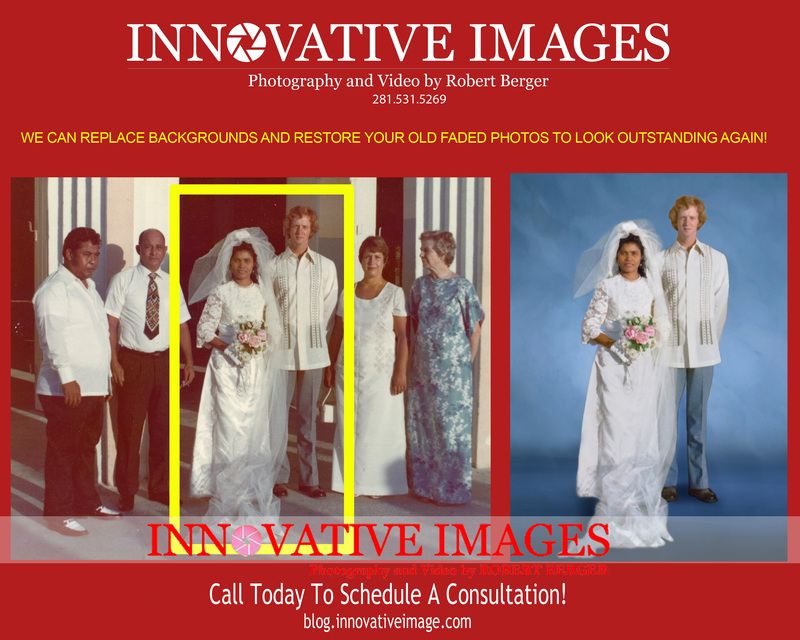 Photo Background Replacement- Notice the couple within the yellow border? 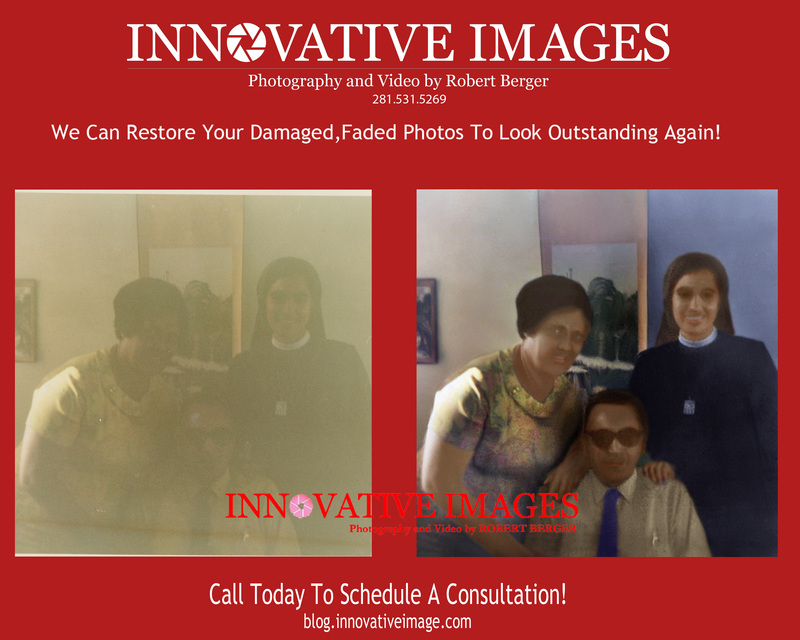 The photo on the right is after we enhanced the photograph as well as replaced the background. 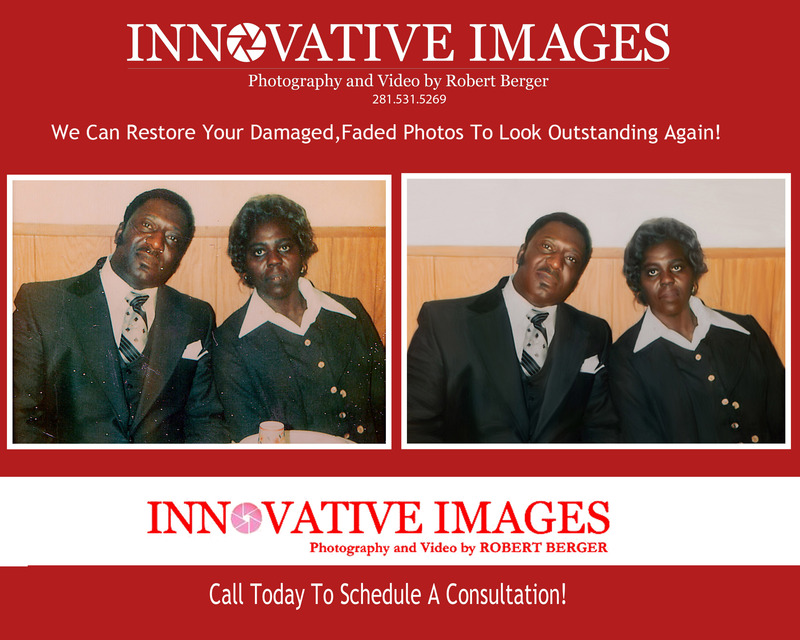 Now their original wedding candid from 40 years ago resembles an in studio portrait.